It’s the best kind of puzzle: The rules are simple – but getting the answer can take all your creativity. Your quest is to navigate a network of rectangles to find a missing value, using just a few “givens.” No complex math is required! Just remember: To find an area, multiply the lengths of the sides. 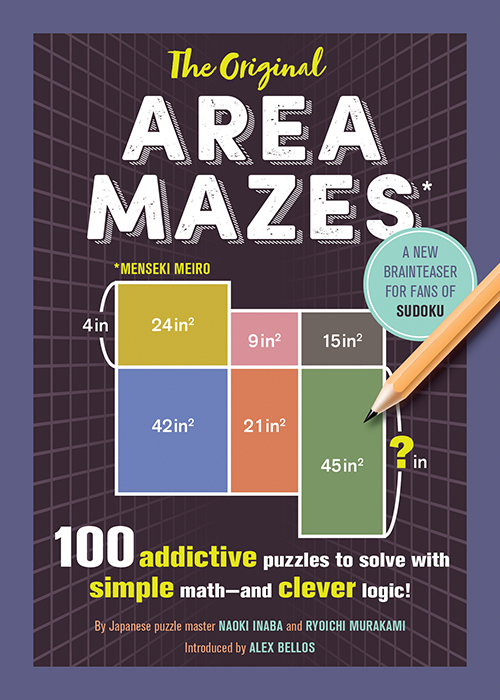 The inventor of area mazes, master puzzlemaker Naobi Inaba, has selected 100 of his best mazes and organized them into five levels of difficulty. Try The Original Area Mazes for yourself – you’ll be hooked in no time!